Mitch McConnell the way others pathetically have tried to do. Levin says Trump is the ostensibly the leader of the GOP and the buck stops with him. Donald Trump needs to be the leader of the Republican Party and take charge of the leadership. Instead, he’s at war with leadership, and that’s a fault of his, not McConnell and Ryan. He’s selling out the country by working with Pelosi and Schumer just to get back at Republicans. Trump broke his promise on DACA. It has nothing to do with the Republican leadership. In the end, Levin says he doesn’t think this is the last time. Here is a link to the Levin audio. Of course it won't be. Trump is not a conservative. The only principle he stands for is doing what is best for himself under all circumstances. Donald Trump could not care less about the American people, including those who stand with him at his rallies. No doubt Chuck and Nancy were happy. He got rolled; the president got rolled, and his administration, therefore, got rolled because as you pointed out correctly, doing this short-term deal attached to the Hurricane Harvey money, which was a must-pass, and therefore a good vehicle to do a longer debt limit extension and perhaps other things as well, is now a three month deal — and we're right back where we started except without the Hurricane Harvey leverage when December rolls around. So it's a terrible deal. And I think the president, he wanted to sign something, so he got something to sign — but he got rolled. Of course President Trump got rolled. Donald Trump was never a great negotiator and, in fact, is proving to be spectacularly bad at cutting deals. As Hume points out during the roundtable, it is not hard to cut deals when you're giving the other side everything they're asking for. We think that Mike Pence will go out and keep singing Trumps praises! Paul, is supporting the Iraq War conservative? Bombing Syria? Levin supports that. I think you are misunderstanding the thrust of my post. 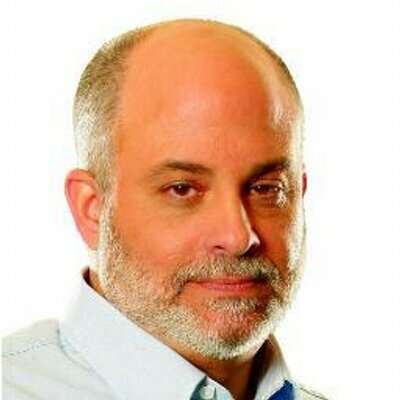 It wasn't support for Levin, but rather that he is pointing out, correctly, that Donald Trump sold out his supporters. I have been consistent in warning about the fact that Donald Trump is a con man who is not to be trusted. Levin apparently woke up to that fact. My observation certainly has nothing to do with the Iraq War or bombing Syria. Paul, I have to give it to you when you are correct. Donald Trump HAS totally sold out the voters who believed in him. The man just has so little clue about so much. DJT's ONLY saving grace causing me to cast my ballot his way was that he was not Hillary Rodham Clinton. Additionally, I do not at all recall Jared Kushner, the 36 year old advising a man almost twice his age, or Kushner's converted faith trophy wife, being on any voter ballot I cast.